Which covers a number of distinct, yet interrelated subjects, such as: concentration and reduction in bugs, open office spaces, and groupthink. Ultimately the author demonstrates that open plan offices can be detrimental to good software development — like many things, collaboration has it’s benefits, but that can change when it is done in too large an amount. 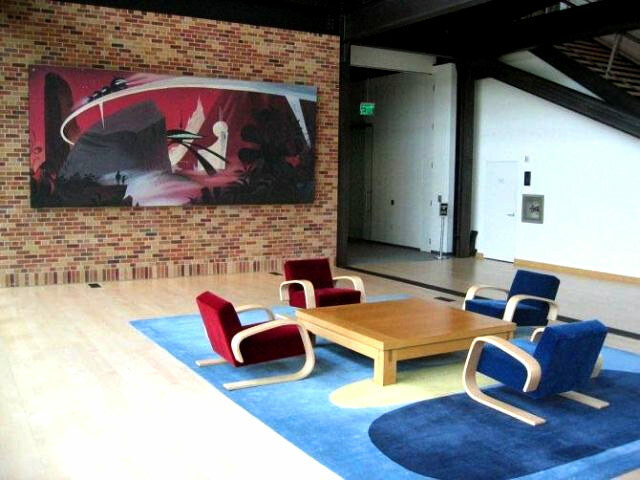 I’m going to start with a couple of photos of Pixar’s ofice, which has spaces for both solitary and communal work. Then I will be quoting from Ms Cain’s Article. This entry was posted in Uncategorized and tagged agile, groupthink, kanban, lean, pixar, scrum, waterfall. Bookmark the permalink. On a related note AgileScout has a posting related to research done on noise in the workplace.